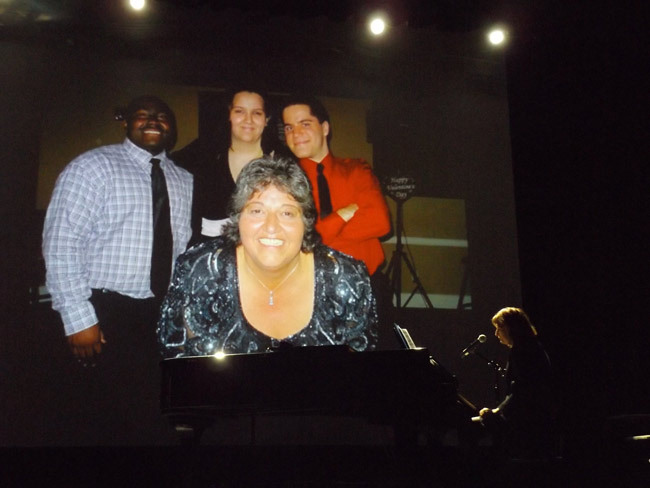 As some 300 people gathered at the Flagler Auditorium Saturday evening (Feb. 2) for a celebration of life for Lisa McDevitt, the venue’s late executive director, a giant video screen shuffled through heartwarming photos of McDevitt with family and friends while pianist Alana Fitzgerald played a gentle prelude. Then the Brass Quintet of Flagler Palm Coast High School, which is home to and partner with the auditorium and its arts in education mission, performed Pachelbel’s elegiac Canon. 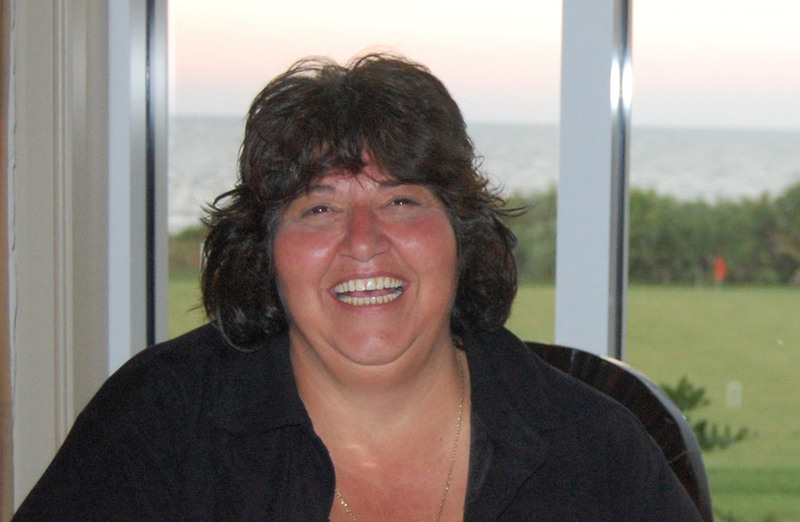 McDevitt died Jan. 21 at age 58 after a months-long struggle with cancer. 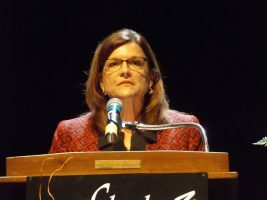 For the past 16 years she had served as executive director of Flagler Auditorium, deftly not just balancing but fulfilling the venue’s dual mission as a performing arts center for big-name touring performers, and as a venue for performances and events by local schools and community organizations. The 1,000-seat venue, created by a public bond issue in 1991, has staged performances by Debbie Reynolds, Ben Vereen, the London Symphony Orchestra, rocker Dave Mason, touring Broadway shows and other big-name musicians and professional entertainers. The venue also is home to numerous Flagler County school activities, including play performances by FPC’s thespians, Fulmer’s choral group, John Seth’s and many other bands and band competitions, dance recitals, plus a trio of annual concerts by the Flagler Youth Orchestra. The proscenium is rarely dark, rarely silent, as it certainly was not Saturday. Three of McDevitt’s four adult children attended the celebration, with daughter Jackie addressing attendees: “A lot of you have watched us grow up, so you know how special our relationship is with our mom. No matter what she had going on at the theater, she was always a mom first. She never missed any event that we kids were involved in, along with all of her adopted kids she picked up throughout the years. “Mama Lisa was what she was known by. She had a way of making people feel comfortable and was always a shoulder to cry on. 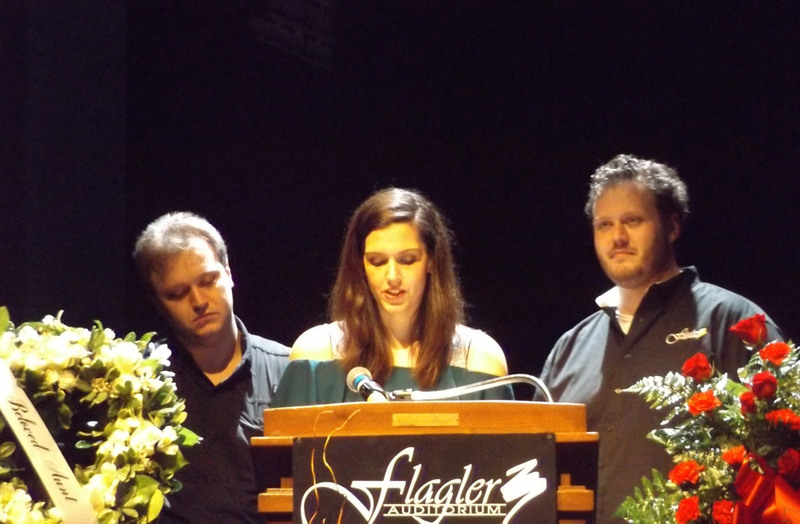 We are grateful to the Flagler Auditorium and to the school district for all the opportunities they have given us and her throughout the years. I mean, how cool is it we can say our mom is the director of a state-of-the-art performing arts center? Colleen Conklin, a member of the Flagler County School Board, told the assembly that she asked McDevitt’s coworkers, friends and students for their remembrances, and they responded by variously describing her as “passionate, kind, caring, funny, tenacious, giving, bold, intelligent, curious, an advocate, a role model, a workaholic, a mentor, a friend, a daughter, a sister, an aunt and a fierce mama bear. 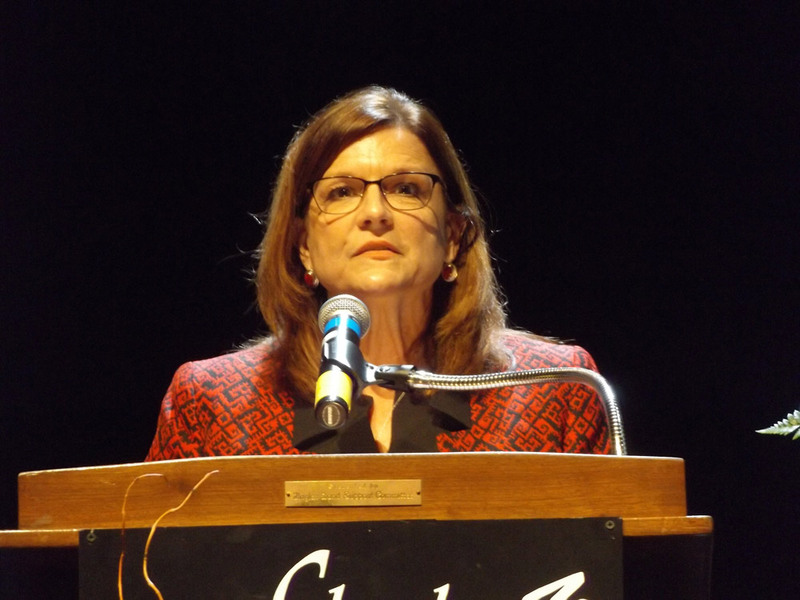 Laurie Alter, incoming president of the Flagler Auditorium Governing Board, noted the venue “has always been a unique performing arts center” because it “falls under the leadership of a governing board representing the general community, and the school board which represents the educational community. I have always marveled at Lisa’s ability to coordinate and work with so many entities. Not only did she work with the governing board and the school board, but she also worked with schools, agents, producers, community groups. McDevitt created the auditorium’s arts in education fund, Alter said, which provides scholarships for students in the arts, including the venue’s tech, theater and box office internship programs. “I return to that conversation repeatedly,” Shott said, adding that she refuses to speak of her friend in the past tense. “It encompasses a vision of a people free-spirited, passionate and fierce. If that doesn’t describe our Lisa, I don’t know what does. Her free spirit makes her fearless to be innovative and try new ideas. Her passion drives the development, growth and longevity of this dream we call the Flagler Auditorium, this dream of a unique partnership between a community and a school system. And her fierceness keeps her pushing through any barriers to help the organization, but more importantly to help people, especially our youth. Like Solomon, virtually every speaker remarked on McDevitt’s love for and devotion to her children and family. 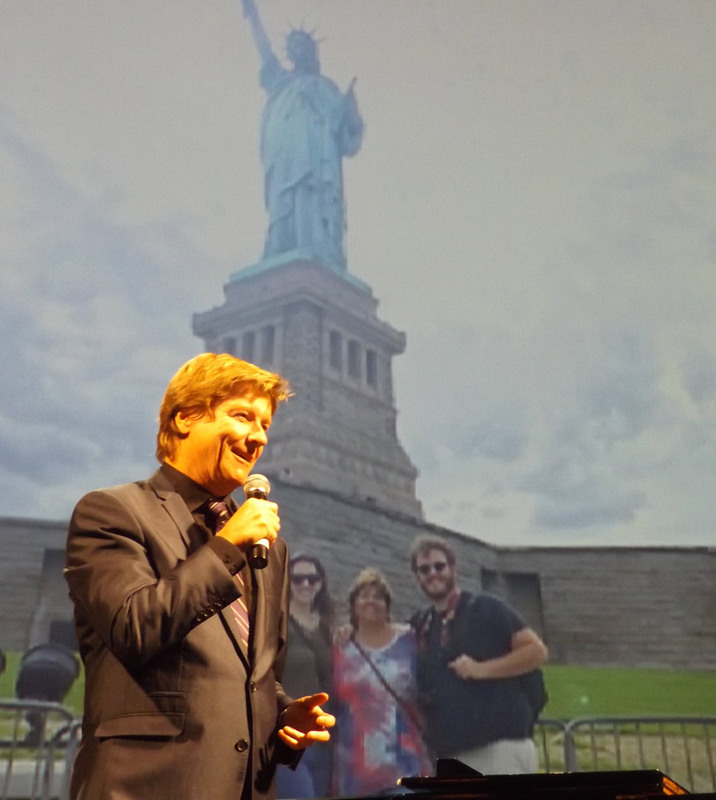 Singer Andy Cooney, who has performed at the auditorium as part of Irish music variety shows and as a member of the New York Tenors, took the stage to sing “You Raise Me Up” as videos of a smiling McDevitt with family and friends scrolled across the video screen. Alter, the incoming president of the Flagler Auditorium Governing Board, remarked with a smile that McDevitt also “was always dreaming and scheming.” It was McDevitt, she said, who spearheaded the current renovations to the auditorium which began in early 2018. Funded by a $500,000 state grant matched by the auditorium’s governing board, those renovations include the addition of more offices, a conference room, a kitchen, seven female restrooms and a unisex restroom, as well as renovation of the male restroom.